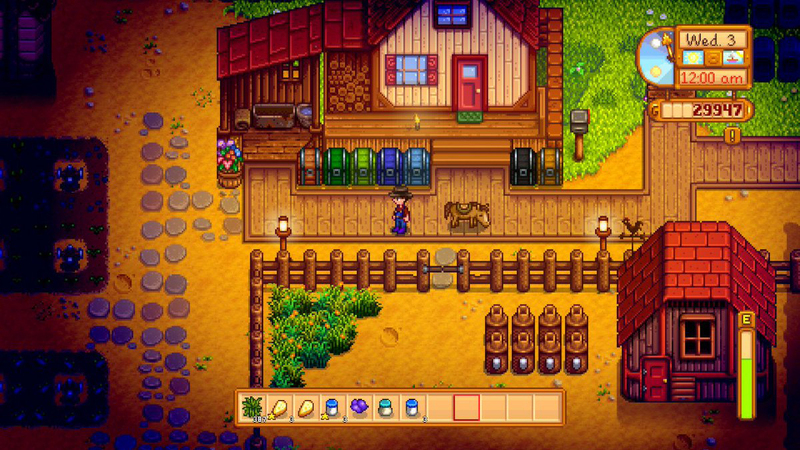 Stardew Valley is one of the all-time great success stories of indie gaming. Like Shovel Knight before it, it came to life as a passion project, garnering support from fans online for months before finally releasing to critical acclaim. I have it on my Mac and I love it, but I know I'd love it more if I ever bought it on my Switch. I'm going to, and perhaps when I do, I'll be the one to push it over one million copies sold. During Nintendo's 2017 Fiscal Year Results Briefing, special attention was paid to indie games that have thrived on Switch. Stardew Valley was one of those games as it was announced it is nearing one million copies sold worldwide on the device. Earlier this year, we learned the game sold more than 3.5 million copies across the board, so to see so many of its sales coming from the console that got it last shows Switch owners are fully embracing the indie Renaissance. Another darling, Overcooked: Special Edition, also got a shoutout during the presentation for selling more than a half-million downloads on Switch. Not bad for a game that launched in a terrible state. Guess it goes to show making a point to fix your game can pay off in the end.